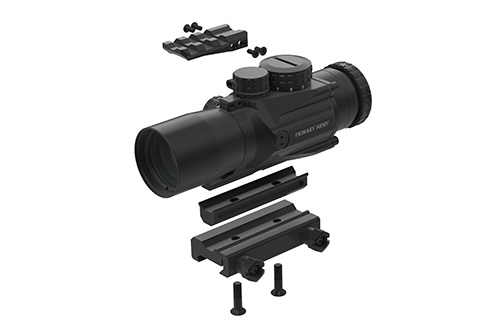 The new Primary Arms 3x GEN2 Compact Scope is ideal for tactical or sport shooting when you need a single, lightweight scope to do it all! This is the 7.62x39 / 300 BLK variant, bringing the proven abilities of the patented ACSS® reticle to AKs and ARs chambered in either caliber. 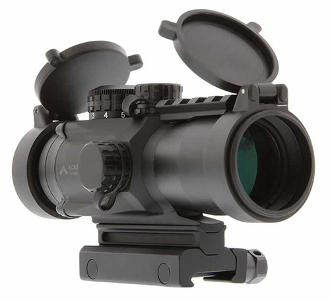 The ACSS reticle provides quick ranging, wind holds and moving target leads all in one easy to use, instinctive system. It can even be utilized with 220 grain subsonic 300 Blackout loads! 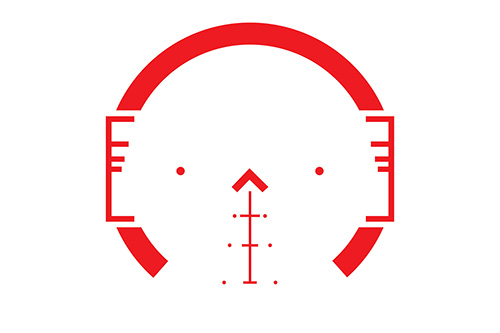 The etched reticle requires no illumination, but 12 brightness settings are powered by an included CR2032 battery. 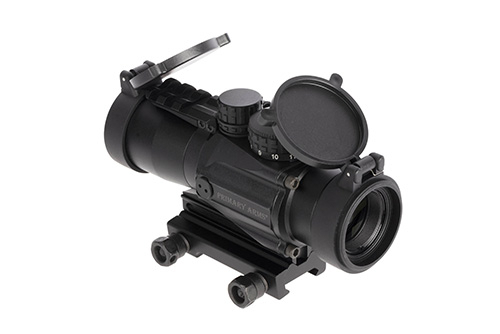 This scope is extremely durable, designed to handle heavy recoil and extreme weather conditions, with a 3-year warranty. The standard 1913 Picatinny mount is the correct height for AR-15 receivers, but can be removed. 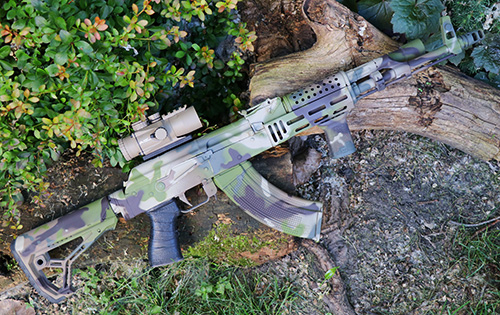 This allows your choice of ACOG-style AK mounting system to position the scope lower for a correct sight picture on Kalashnikov rifles. Now in 2 colors (select either Flat Dark Earth or Black from drop down menu).